On my last day in Iona I attended the morning prayer service held in the Abby. Built in the sixth century it was attacked by Vikings in 755. 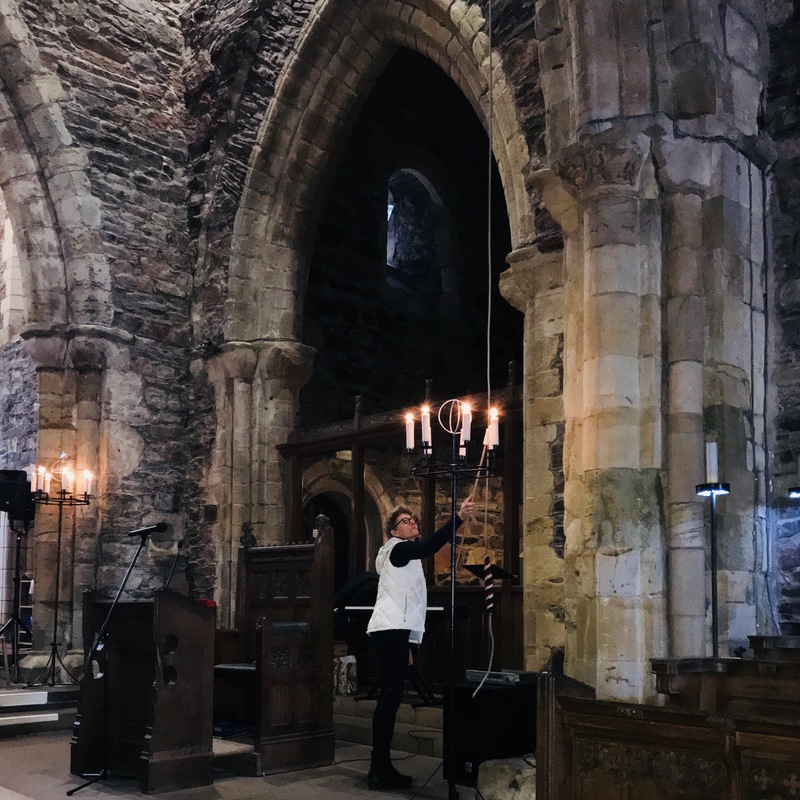 Sitting in the damp stone Cathedral with the early morning light filtering through the windows as the day’s worship leader silently lit candles throughout the worship space, I was enveloped by sense of holy wonder. How many worshippers throughout the centuries sanctified this place with their prayers, chants and tears? Sitting there I understood the greatness of time and the brevity of our lives. The service itself was quite simple. A responsive reading called us to worship. Ahymn was sung. In a prayer of confession we acknowledged our contribution to the brokenness of the world. A liturgist read the day’s Gospel lesson, a reading from John. There was no sermon. The Gospel has its own power. I remember something that sociologist, teacher and theologian Tony Complo once said in a series of talks entitled Affluenza. He said that before he went to seminary he thought that Jesus meant everything He said; you know, things like forgive, turn the other cheek, be generous, don’t be all “judged” and things like that. But thank goodness for seminary, he continued, because it was there that he learned that Jesus didn’t mean any of that stuff. What Compolo was really saying is that too often preachers “tame” the Gospel lest it offend anyone and threaten job security! Yes, I do wonder if it wouldn’t be better to let the Gospel speak for itself in all of its stark offensive challenging rawness. We prepared to leave our time together with a prayer for specific areas of the world. On this day it was for various “minor” nations in Asia, the places we don’t hear much about until Anthony Bourdain takes us to eat. A hymn served as the benediction. And then there was a prayer for peace and the Kingdom of God to reign on earth as it does in heaven. As you leave the service you walk past markers from the sixth and seventh centuries. You have worshiped where they worshipped. You are a part of them, and they are a part of you. What you share in common is a glimpse of holy timeless grace. Lord God, for all the saints who from their labors rest, we give You thanks. Amen.